Depending on the personnel of your team, you may find yourself faced with a pre-season decision: The 5-1 or the 6-2? 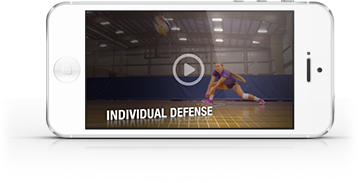 Both offenses can be highly effective, and they both have been used by championship volleyball teams at every level of the game. The question is, which is right for your team? Here, Art of Coaching contributor Jim Stone, a former head coach at Ohio State and currently the head coach of the USA Youth National Team, takes a detailed look at the 5-1. In this video, he highlights its advantages and disadvantages, breaks it down in each of the six rotations and points out the responsibilities of each player. For Jim's comprehensive look at the 6-2 offense, click here.